I have been seeing the breast surgeon since the spots showed up on the ultrasound in March. I expected to work with him and the plastic surgeon I chose. Well, that will not be so. During a recent screening appointment he threw a wrench into it. He doesn’t have regular operating privileges at the hospital the plastic surgeon operates in and vice versa. He thought he would, but with his current patient load, there just aren’t enough weeks in a month for him to do whatever has to be done in order for a hospital to grant those privileges to an “outside” surgeon. That’s just peachy! Now what? Do I pick one of the other two plastic surgeons or do I find another breast surgeon? He suggested that I stick with the plastic surgeon and meet with another breast surgeon – one he highly recommends. So off to another appointment! I met with Dr. K and discussed most of the specifics of what has been going on with me and where I stand now. He’s available to do the mastectomy on the 22nd, he seems like he knows what he’s doing, he does think that this is a good idea, we got along just fine, and he’s originally from Jersey (good or bad – you decide). I feel like I don’t have much choice at this point, as it doesn’t look like the other surgeon can do it, but I know I don’t have to “settle,” so I’ll think about it and see if I’m good with this arrangement or not. 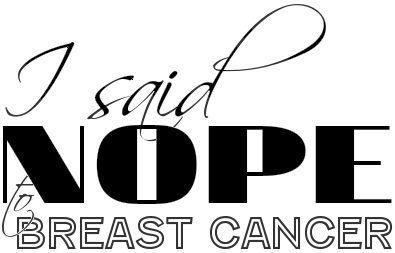 This entry was posted in All and tagged breast reconstruction, health, hospital, mastectomy surgery, plastic surgeon, prophylactic on November 30, 2012 by nope2BC.